N ew research by homelessness charity Depaul UK revealed in March that one in four LGBT young people had engaged in sexual activity in exchange for a place to stay while out of stable accommodation. And LGBT young people were twice as likely to have left stable accommodation to escape emotional or mental abuse, according to the new ‘Danger Zones and Stepping Stones’ report. Depaul UK surveyed more than 700 young people, aged from 16-25, who are using homelessness services across England. Of the sample, 4% identified as gay or lesbian, 9% as bisexual and a further 2% said they identified with another sexuality or were undecided. 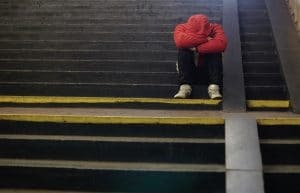 The research found that young homeless people routinely suffer physical and sexual abuse and other harm in temporary living arrangements, and that the situation was particularly severe for LGBT young people. Two-thirds of the LGBT young people surveyed had been harmed, with 49% suffering mental or emotional abuse, 38% experiencing physical assault or abuse, 35% being pressured into drinking alcohol or taking drugs, 23% being sexually abused or exploited and 47% having their property stolen or damaged. 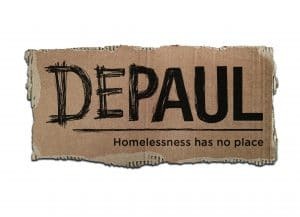 Depaul UK’s Interim CEO Ian Brady said: “Rough sleeping is on the increase for young people and our research found that almost 40% of young men and 20% of the young women we surveyed had slept rough. “Young people are taking enormous risks and often suffering serious harm to avoid sleeping rough. And our research shows that LGBT young people are even more likely than non-LGBT young people to suffer harm while out of stable accommodation.